Comrades! I welcome with all my heart and full confidence all officers, doctors, and officials, all Offiziersstellvertreter, NCOs, and troops. The Regiment, whose men for the most part are untrained, is expected to be ready for mobile deployment within a few weeks. 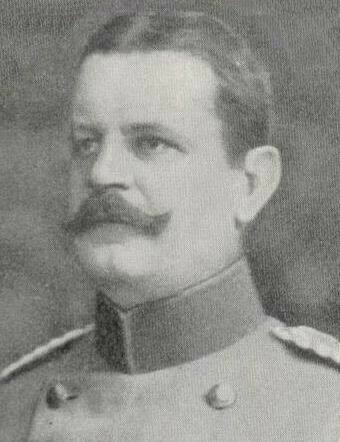 This is a difficult task, but with the admirable spirit which animates all members of this regiment, not an impossible one . . . . With God's blessing, let's begin our work for Kaiser, King, and Fatherland! I am prepared to speak with the assurance of an eyewitness concerning the effect of the German fire upon the defenses of Maubeuge. What I saw at Liege I have described in a previous chapter of this volume. What I saw at Maubeuge was even more convincing testimony, had I needed it, that the Germans had a 42- centimeter gun, and that, given certain favored conditions, they knew how to handle it effectively. In a letter written to the government of the Austro-Hungarian Empire, United States Secretary of State Robert Lansing demands the recall of Constantin Dumba, the Austro-Hungarian ambassador in Washington, D.C.
At the time, barely one month after the outbreak of World War I, the United States was neutral in the great struggle between the Allied and Central Powers, the latter of which included Austria-Hungary. Dumba, who had served as his country's ambassador to the U.S. since May 1913, had earlier fallen out of favor with his colleagues in Washington on account of his government's policy of offering "rehabilitation" to former Austro-Hungarian citizens living abroad who had previously fled their mandatory military service, provided they agreed to serve with the army for the duration of the war upon their return to Austria-Hungary. Despite Dumba's diplomatic efforts, Vienna's policy was seen by many as a violation of the U.S. policy of neutrality, which strictly forbade any U.S. citizen (no matter how long they had resided in the country) from actively taking sides in the war. The so-called "Dumba Affair" was much more serious, and resulted in the ambassador's dismissal by the government of President Woodrow Wilson in the fall of 1915. Lansing's letter charged Dumba with espionage, stating that the ambassador had proposed to his government "plans to instigate strikes in American manufacturing plants engaged in the production of munitions of war." According to the secretary of state, Dumba admitted to having written a letter containing such a proposal and sending it to his own government via an American citizen, James Archibald, who was intercepted in England; the letter was handed over to the U.S. government. As a result of this treachery, Lansing stated, "Mr. Dumba is no longer acceptable to the Government of the United States as the Ambassador of his Imperial Majesty at Washington." I hope you will excuse the liberty I am taking in writing to you but I have the chance of sending this letter through by hand and I consider it absolutely necessary that you should know the true state of affairs out here. Our last great effort to achieve some definite success against the Turks was the most ghastly and costly fiasco in our history since the Battle of Bannockburn. Personally I never thought the scheme decided on by Headquarters ever had the slightest chance of succeeding and all efforts now to make out that it only just failed owing to the failure of the 9th Corps to seize the Anafarta Hills bare no relation to the real truth. The operations did for a time make headway in an absolutely impossible country more than any general had a right to expect owing to the superlative gallantry of the Colonial Troops and the self-sacrificing manner in which they threw away their lives against positions which should never have been attacked. The main idea was to cut off the southern portion of the Turkish Army by getting astride of the Peninsula from Suvla Bay. Therefore the whole weight of the attack should have been concentrated on this objective, instead of which the main attack with the best troops was delivered against the side of the Turkish position which is a series of impossible mountains and valleys covered with dense scrub. Russian Revolution: General Lavr G. Kornilov attempts to establish a right-wing military dictatorship in Russia. He is backed by the Cadets, traditionally the party of liberal constitutionalism. 1926 Weimar: Germany is admitted to the League of Nations and given a permanent seat on the Council. Germany was not allowed to join the League in 1919. As Germany had started the war, according to the Treaty of Versailles, one of her punishments was that she was not considered to be a member of the international community and, therefore, she was not invited to join. This was a great blow to Germany but it also meant that the League could not use whatever strength Germany had to support its campaign against aggressor nations...three of the world's most powerful nations (potentially for Russia and Germany) played no part in supporting the League. The two most powerful members were Britain and France - both had suffered financially and militarily during the war - and enthusiastic to get involved in disputes that did not affect Western Europe. Just weeks after Hitler assumed power on January 30, 1933, a patchwork of competing Jewish forces, led by American Jewish Congress president Rabbi Stephen Wise, civil rights crusader Louis Untermeyer, and the combative Jewish War Veterans, initiated a highly effective boycott of German goods and services. Each advanced the boycott in its own way, but sought to build a united anti-Nazi coalition that could deliver an economic deathblow to the Nazi party, which had based its political ascent almost entirely on promises to rebuild the strapped German economy. 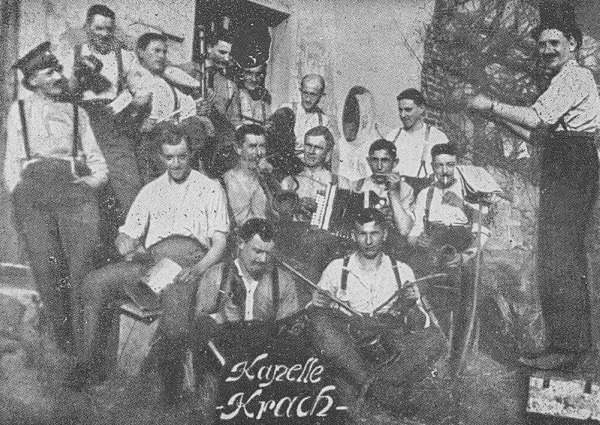 The boycotters were encouraged by the early successes of their loud, boisterous campaign, complete with nationwide protest meetings, picket signs, and open threats to destroy Germany's economy if the Reich's anti-Jewish actions persisted. Skilled organizing from unions, political groups, and commercial trade associations carried the boycott's message to every facet of American society and abroad. Depression-wracked nations around the world quickly began to shift their buying habits from the entrenched German market. Huey Pierce Long is shot in the State Capitol at Baton Rouge by Dr. Carl Austin Weiss, a doctor of Jewish descent, less than a month after his anti-Semitic speech (See August 9) in the Senate. More than 10,000 people will attend Weiss' funeral in Baton Rouge. Fifty years ago Huey Long was one of the most prominent and colorful politicians in America and the head of a formidable political machine in his home state of Louisiana. He was a virtual dictator there. He also had a nationwide following. He planned to run for president in 1936 . . . . Shortly after leaving the house chamber and paying a short visit to the governor's office, Huey Long was shot in a narrow corridor outside the governor's office that Sunday, Sept. 8, 1935, at approximately 9:20 p.m. Immediately after Long was shot, his alleged assassin, Dr. Carl Austin Weiss, a 29-year old local physician, was slain by Long's bodyguards, who pumped between 30 and 60 pistol bullets into the doctor's body as it thudded to the corridor floor. Spain entered the twentieth century as a country excluded from the great European alliances, with an ill-fated African colonial policy, putting its faith in the League of Nations. It escaped the First World War, but was then shaken by a terrible civil war, which was in part the Spanish overture to the Second World War. Though it had not taken an active part in the war, at its end Spain once again found itself isolated, for having sided with Nazism and Fascism. The Sudetenland was part of Germany until 1806 and of the German Confederation between 1815 and 1866. After the First World War the Sudetenland (some 11,000 square miles) became part of Czechoslovakia. Until Adolf Hitler came to power most Sudeten Germans were content to remain in Czechoslovakia but in 1935 a Sudeten-German Party, financed from within Nazi Germany, began to complain that the Czech-dominated government discriminated against them. Westerplatte was established as a Polish military outpost during the interwar period, equipped with one 75mm field gun, two 37mm antitank guns (slightly mystifying for a coastal defense), four mortars, and several medium machine guns, but lacking any true fortifications. By the autumn of 1939, the Polish garrison occupying Westerplatte comprised of 182 soldiers expected to withstand a potential attack for twelve hours...the German battleship Schleswig-Holstein dropped anchor in the channel off Westerplatte and on September 1, at exactly 04:45 local time, began its barrage of the Polish outpost with its superior 280 and 150mm guns . . . . Expecting an easy victory, the German offensive was sternly repelled by Polish small arms and machine gun fire, and suffered unexpected losses during two more assaults upon Westerplatte the same day. The only Polish 75mm gun was destroyed after discharging 28 shells into the German position across the channel. Despite a German naval infantry invasion, sustained bombardment by heavy artillery and diving air raids from German warplanes, the Polish garrison repulsed the Germans for seven days, before the depleted unit, suffering from exhaustion, severe injury and a shortage of food, water, ammunition and medical supplies, was forced to surrender. US president Franklin D. Roosevelt declares a 'limited national emergency' due to the war in Europe. When President Roosevelt proclaimed a "limited national emergency" on 8 September 1939, just one week after Germany invaded Poland, the Medical Department of the United States Army was operating 7 general hospitals and 119 station hospitals. Five of the general hospitals were located in the United States—Walter Reed at Washington, D. C.; Army and Navy at Hot Springs, Ark. ; Fitzsimons at Denver, Colo.; Letterman at San Francisco, Calif.; and William Beaumont at El Paso, Tex. The other two were in overseas possessions—Tripler in the Hawaiian Islands and Sternberg in the Philippines. Of the station hospitals 104 were on Army posts in the United States and Alaska, while the remainder were divided among the Philippine Islands, the Hawaiian Islands, and the Panama Canal Zone. Holocaust: Bedzin: Two hundred Jews are burned alive in a synagogue by Nazis, who charge Poles with the crime, and then execute 30 of them in a public square. Bedzin had 27,000 Jewish inhabitants, approximately 45 percent of the town's entire population. 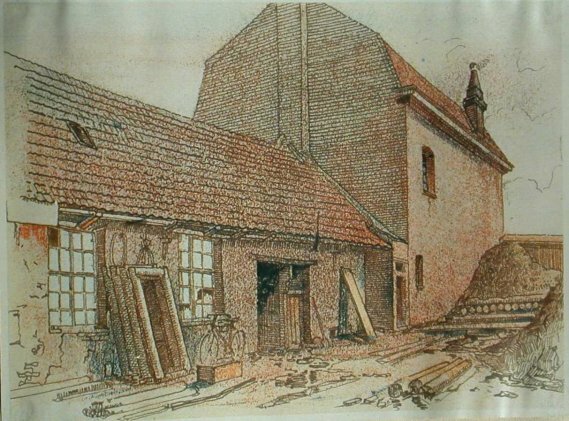 Confiscation of Jewish property, forced labor, deprivation, and, ultimately, deportation to Auschwitz were slated for the Jews of Bedzin. After the first wave of deportations to Auschwitz, a Resistance movement attempted to make contact with the Polish underground. German forces begin their siege of Leningrad, a major industrial center and the USSR's second-largest city. The German armies were later joined by Finnish forces that advanced against Leningrad down the Karelian Isthmus. The siege of Leningrad, also known as the 900-Day Siege though it lasted a grueling 872 days, resulted in the deaths of some one million of the city's civilians and Red Army defenders. Leningrad, formerly St. Petersburg, capital of the Russian Empire, was one of the initial targets of the German invasion of June 1941. 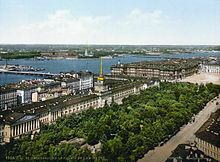 As German armies raced across the western Soviet Union, three-quarters of Leningrad's industrial plants and hundreds of thousands of its inhabitants were evacuated to the east. More than two million residents remained, however, and the evacuated were replaced by refugees who fled to Leningrad ahead of the German advance. All able-bodied persons in the city—men, women, and children—were enlisted to build antitank fortifications along Leningrad's edge. By the end of July, German forces had cut the Moscow-Leningrad railway and were penetrating the outer belt of the fortifications around Leningrad. On September 8, German forces besieged the city, but they were held at bay by Leningrad's fortifications and its 200,000 Red Army defenders. That day, a German air bombardment set fire to warehouses containing a large part of Leningrad's scant food supply. Aiming to tighten the noose around Leningrad, the Germans launched an offensive to the east in October and cut off the last highways and rail lines south of the city. Meanwhile, Finnish forces advanced down the Karelian Isthmus (which had been seized from Finland by the Soviets during the Russo-Finnish War of 1939 to 1940) and besieged Leningrad from the north. By early November, the city was almost completely encircled, and only across Lake Ladoga was a supply lifeline possible. 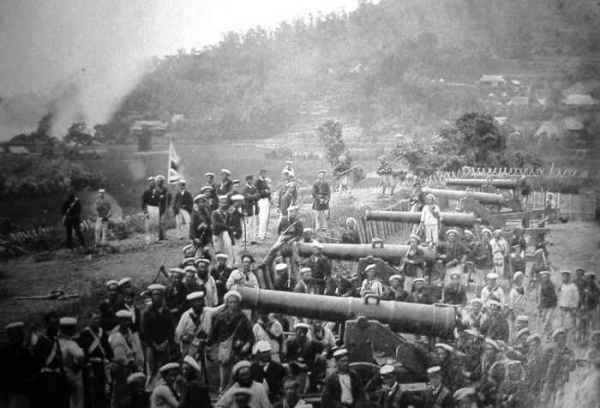 German artillery and air bombardments came several times a day during the first months of the siege. The daily ration for civilians was reduced to 125 grams of bread, no more than a thick slice. Starvation set in by December, followed by the coldest winter in decades, with temperatures falling to -40 degrees Fahrenheit. People worked through the winter in makeshift armament factories without roofs, building the weapons that kept the Germans just short of victory. Residents burned books and furniture to stay warm and searched for food to supplement their scarce rations. Animals from the city zoo were consumed early in the siege, followed before long by household pets. Wallpaper paste made from potatoes was scraped off the wall, and leather was boiled to produce an edible jelly. Grass and weeds were cooked, and scientists worked to extract vitamins from pine needles and tobacco dust. Hundreds, perhaps thousands, resorted to cannibalizing the dead, and in a few cases people were murdered for their flesh. The Leningrad police struggled to keep order and formed a special division to combat cannibalism. Across frozen Lake Ladoga, trucks made it to Leningrad with supplies, but not enough. Thousands of residents, mostly children and the elderly, were evacuated across the lake, but many more remained in the city and succumbed to starvation, the bitter cold, and the relentless German air attacks. In 1942 alone, the siege claimed some 600,000 lives. In the summer, barges and other ships braved German air attack to cross Lake Ladoga to Leningrad with supplies. In January 1943, Red Army soldiers broke through the German line, rupturing the blockade and creating a more efficient supply route along the shores of Lake Ladoga. For the rest of the winter and then during the next, the "road of life" across the frozen Lake Ladoga kept Leningrad alive. Eventually, an oil pipeline and electric cables were laid on the lake bed. In the summer of 1943, vegetables planted on any open ground in the city supplemented rations. The extensive coastal fortifications which I have ordered to be erected in the area of Army Group West make it necessary that in the occupied territory all available workers be assigned and give the fullest extent of their productive capacities to this task. The previous allotment of workers originating from these countries is insufficient. In order to increase it I order the introduction of compulsory labor and the prohibition of changing the place of employment without permission of the authorities in the occupied territories. Furthermore, the distribution of food and clothing ration cards to those subject to labor draft should in the future depend on the possession of a certificate of employment. Refusal to accept an assigned Job, as well as leaving the place of work without the consent of the authorities in charge, will result in the withdrawal of the food and clothing ration cards. The GBA (Deputy General for Arbeitseinsatz) in agreement with the military commander, as well as the Reich Commissioner, will issue the appropriate decrees. The Fuehrer and Supreme Commander of the Wehrmacht; General Headquarters of the Fuehrer: The extensive coastal fortifications which I have ordered to be erected in the area of Army Group West necessitate in the occupied territory the utilization of all available workers to the fullest extent and to their utmost capacity. The assignment of indigenous workers, made up to now, is insufficient. In order to increase it, I order the introduction of compulsory labor and the prohibition of changing the place of employment without permission of the authorities in the occupied territories. Furthermore, in future, the distribution of food and clothing ration cards to those subject to compulsory labor shall depend on the possession of a certificate of employment. Refusal to accept an assigned job, as well as leaving the place of work without the consent of the authorities in charge, will result in the withdrawal of the food and clothing ration cards. The GBA (the office of Sauckel) in agreement with the military commanders or the Reich Commissioners, will issue the appropriate directives. The heavy defensive battles in the area of Army Groups Center and North induce me to fix my views on some fundamental tasks of the defense . . . . The enemy carries on construction to a far greater extent than do our own troops. I know that it will be argued that the enemy has at his disposal more labor for construction of such positions. But it is therefore an absolute necessity at exactly this point to make use, with ruthless energy, especially of prisoners of war and the population for these tasks. Only in this respect is the Russian superior to us in his brutal way. 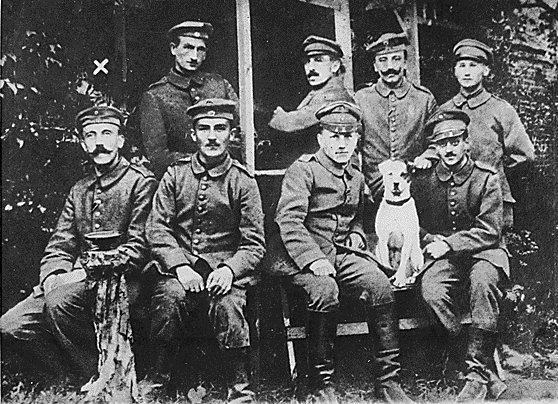 By this means, however, the German soldier, too, can be spared to a large extent from labor on defensive works behind the front lines, in order that he may be kept free and fresh for his real duties. Frequently the necessary ruthlessness which the present fateful battle demands is not yet being employed here, for in it not a victory but the existence and survival of our people is contested. Besides, it is in all circumstances still always more humane to drive the Russian population to work, with every means, as it has always been accustomed to be driven, than to sacrifice our most precious possession, our own blood. After the collapse of France, when the German armies strode on irresistibly in triumph and conquest, there seemed to be a possibility that Hitler might establish himself as a kind of Charlemagne in Europe and would unite many countries under German sway while at the same time pointing to our island as the author of the blockade and the cause of all their woes. That danger, such as it was, and I certainly did not think it negligible, has rolled away. The German is now more hated in every country in Europe than any race has been since human records began. In a dozen countries Hitler's firing parties are at work every morning, and a dark stream of cold execution blood flows between the Germans and almost all their fellow men. The cruelties, the massacres of hostages, the brutal persecutions in which the Germans have indulged in every land into which their armies have broken have recently received an addition in the most bestial, the most squalid and the most senseless of all their offences, namely, the mass deportation of Jews from France, with the pitiful horrors attendant upon the calculated and final scattering of families. This tragedy fills one with astonishment as well as with indignation, and it illustrates as nothing else can the utter degradation of the Nazi nature and theme, and the degradation of all who lend themselves to its unnatural and perverted passions. The American Charge in Vichy, Mr. S. Pinkney Tuck, on September 7 was called in by Monsieur Laval who said that in recent bombings of Le Havre and Rouen by combined military forces of the United Nations a number of people were killed and others wounded and that he, M. Laval, desired to enter a protest to the American Government since it was reported some American flyers participated. Mr. Tuck's immediate reply was that these air forces were bombing military plants in the employ of Germany and that, of course, the Americans do not desire to see the French people suffer any more than can be avoided since they have already suffered to an incalculable extent under German occupation but that M. Laval must be assured that the military plants operated by or for Germany and other German military properties in France will be bombed at every opportunity in the future. 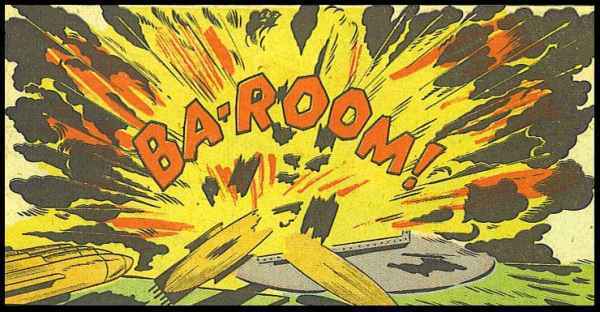 On this day in 1942, a Japanese floatplane drops incendiary bombs on an Oregon state forest-the first and only air attack on the U.S. mainland in the war. Launching from the Japanese sub I-25, Nobuo Fujita piloted his light aircraft over the state of Oregon and firebombed Mount Emily, alighting a state forest—and ensuring his place in the history books as the only man to ever bomb the continental United States. The president immediately called for a news blackout for the sake of morale. No long-term damage was done, and Fujita eventually went home to train navy pilots for the rest of the war. On this day in 1943, Operation Avalanche, the Allied land invasion of Salerno, and Operation Slapstick, the British airborne invasion of Taranto, both in southern Italy, are launched. The U.S. 5th Army under Lt. Gen. Mark Clark landed along the Salerno coastline while British Commando units and their American counterparts, the U.S. Rangers, landed on the peninsula itself. Salerno had been chosen as the first site for invasion of the peninsula because it was the northern-most point to which the Allies could fly planes from its bases in Sicily, which they had already invaded and occupied. Rockets launched from landing craft provided cover, and the beach landings went relatively smoothly. 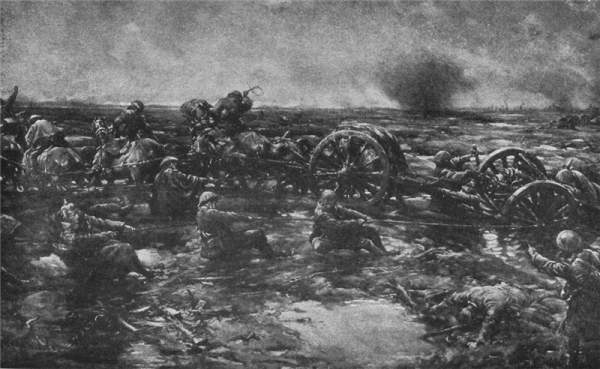 It wasn't until two days later that the Germans, with some Italian troops coerced into service, mounted a heavy counterattack on the beachhead. 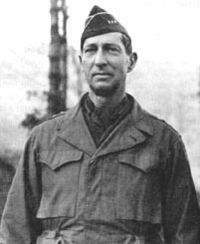 But Clark called in the 82nd Airborne for support, and by the 15th, Salerno was in Allied hands. Meanwhile, the British 1st Airborne Division, having successfully landed at Taranto, captured the airfield at Foggia. On this day in 1943, Gen. Dwight Eisenhower publicly announces the surrender of Italy to the Allies. Germany reacted with Operation Axis, the Allies with Operation Avalanche. With Mussolini deposed from power and the earlier collapse of the fascist government in July, Gen. Pietro Badoglio, the man who had assumed power in Mussolini's stead by request of King Victor Emanuel, began negotiating with Gen. Eisenhower for weeks. Weeks later, Badoglio finally approved a conditional surrender, allowing the Allies to land in southern Italy and begin beating the Germans back up the peninsula. Operation Avalanche, the Allied invasion of Italy, was given the go-ahead, and the next day would see Allied troops land in Salerno. The Germans too snapped into action. Ever since Mussolini had begun to falter, Hitler had been making plans to invade Italy to keep the Allies from gaining a foothold that would situate them within easy reach of the German-occupied Balkans. On September 8, Hitler launched Operation Axis, the occupation of Italy. As German troops entered Rome, General Badoglio and the royal family fled Rome for southeastern Italy to set up a new antifascist government. Italian troops began surrendering to their former German allies; where they resisted, as had happened earlier in Greece, they were slaughtered (1,646 Italian soldiers were murdered by Germans on the Greek island of Cephalonia, and the 5,000 that finally surrendered were ultimately shot). One of the goals of Operation Axis was to keep Italian navy vessels out of the hands of the Allies. When the Italian battleship Roma headed for an Allied-controlled port in North Africa, it was sunk by German bombers. 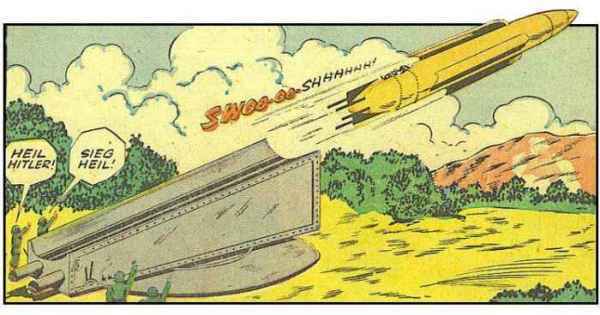 In fact, the Roma had the dubious honor of becoming the first ship ever sunk by a radio-controlled guided missile. More than 1,500 crewmen drowned. The Germans also scrambled to move Allied POWs to labor camps in Germany in order to prevent their escape. In fact, many POWS did manage to escape before the German invasion, and several hundred volunteered to stay in Italy to fight alongside the Italian guerillas in the north. The Italians may have surrendered, but their war was far from over. Bulgaria: Shortly after Soviet troops cross the border into Bulgaria, Bulgaria accepts an armistice and declares war on Germany. At the present time we are at a virtual standstill and progress will be very slow. I trust the assumption of a decisive Russian offensive on the Eastern Front will be realized; but it is at present only an assumption . . . . No one can tell what the future may bring forth. Will the Allies be able to advance in strength through the Siegfried Line into Germany during September, or will their forces be so limited by supply conditions and the lack of ports as to enable the Germans to consolidate on the Siegfried Line? Will the Germans withdraw from Italy?-in which case they will greatly strengthen their internal position. Will they be able to draw on their forces, at one time estimated at between 25 and 30 divisions, in the Baltic States? The fortifying and consolidating effect of a stand on the frontier of the native soil should not be underrated. It is at least as likely that Hitler will be fighting on January 1 as that he will collapse before then. If he does collapse before then, the reasons will be political rather than military. In this phase of the war Hitler deceived all of us. From the summer of 1944 on he circulated, through Ambassador Hewel of the Foreign Office, definite statements to the effect that conversation with foreign powers had been started. Generaloberst Jodl has confirmed this to me here in Court. In this way, for instance, the fact that several visits were paid to Hitler by the Japanese Ambassador was interpreted to mean that through Japan we were carrying on conversations with Moscow; or else Minister Neubacher, who was here as a witness, was reported to have initiated conversations in the Balkans with the United States; or else the former Soviet Ambassador in Berlin was alleged to have been in Stockholm for the purpose of initiating conversations. In this way he raised hopes that, like Japan, we would start negotiations in this hopeless situation, so that the people would be saved from the worst consequences. To do this, however, it was necessary to stiffen resistance as much as possible. He deceived all of us by holding out to the military leaders false hopes in the success of diplomatic steps and by promising the political leaders fresh victories through the use of new troops and new weapons and by systematically spreading rumors to encourage the people to believe in the appearance of a miracle weapon—all for the purpose of keeping up resistance. I can prove that during this period I made continual reference in my speeches and in my letters, which I wrote to Hitler and Goebbels, as to how dishonest and disastrous I considered this policy of deceiving the people by promising them a miracle weapon. 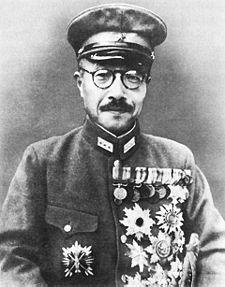 1945 Hideki Tojo: Japanese prime minister during most of World War II, attempts suicide rather than face a war crimes tribunal. The attempt fails. U.S. troops land in Korea to begin their postwar occupation of the southern part of that nation, almost exactly one month after Soviet troops had entered northern Korea to begin their own occupation. Although the U.S. and Soviet occupations were supposed to be temporary, the division of Korea quickly became permanent. Korea had been a Japanese possession since the early 20th century. During World War II, the allies—the United States, Soviet Union, China, and Great Britain—made a somewhat hazy agreement that Korea should become an independent country following the war. As the war progressed, U.S. officials began to press the Soviets to enter the war against Japan. At the Yalta Conference in February 1945, Soviet leader Joseph Stalin pledged that his nation would declare war on Japan exactly three months after Nazi Germany was defeated. A few months later, at the Potsdam Conference in July and August 1945, it was agreed that Soviet troops would occupy the northern portion of Korea, while American forces would take a similar action in southern Korea in order to secure the area and liberate it from Japanese control. The occupations would be temporary, and Korea would eventually decide its own political future, though no date was set for the end of the U.S. and Soviet occupations. On August 8, the Soviets declared war on Japan. On August 9, Soviet forces invaded northern Korea. A few days later, Japan surrendered. Keeping to their part of the bargain, U.S. forces entered southern Korea on September 8, 1945. Over the next few years, the situation in Korea steadily worsened. A civil war between communist and nationalist forces in southern Korea resulted in thousands of people killed and wounded. The Soviets steadfastly refused to consider any plans for the reunification of Korea. The United States reacted by setting up a government in South Korea, headed by Syngman Rhee. The Soviets established a communist regime in North Korea, under the leadership of Kim Il-Sung. In 1948, the United States again offered to hold national elections, but the Soviets refused the offer. Elections were held in South Korea, and Rhee's government received a popular mandate. The Soviets refused to recognize Rhee's government, though, and insisted that Kim Il-Sung was the true leader of all Korea. With respect to the Treaty of Peace signed this day, the Government of Japan makes the following Declaration: Japan will recognise any Commission, Delegation, or other Organisation authorised by any of the Allied Powers to identify, list, maintain, or regulate its war graves, cemeteries, and memorials in Japanese territory; will facilitate the work of such Organisations; and will, in respect to the abovementioned war graves, cemeteries, and memorials, enter into negotiations for the conclusion of such agreements as may prove necessary with the Allied Power concerned, or with any Commission, Delegation, or other Organisation authorised by it. Japan trusts that the Allied Powers will enter into discussions with the Japanese Government with a view to arrangements being made for the maintenance of any Japanese war graves or cemeteries which may exist in the territories of the Allied Powers and which it is desired to be preserved. 1953 Death: Richard Walther Darré: An English-educated son of Argentinean-German parents; one of Heinrich Himmler's early ideological mentors; author of the Nazi "blood and soil" doctrine, which extolled the virtues of Nordic peasants; Director of the SS Office of Race and Resettlement and later Reich Agriculture minister. Darré was arrested in 1945 and tried at the subsequent Nuremberg Trials (specifically, the Ministries Trial 1947-49). He was acquitted on many of the more serious charges against him, specifically those relating to genocide; but was nevertheless sentenced to seven years in prison. 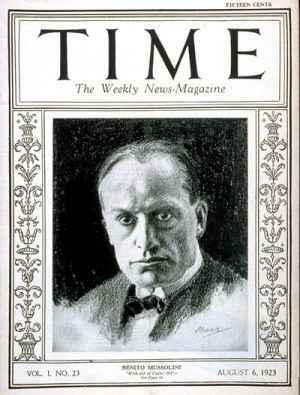 He was released in 1950 and died in Munich on 5 September 1953 of cancer of the liver, induced by alcoholism. Having been directed by President Dwight D. Eisenhower to put together an alliance to contain any communist aggression in the free territories of Vietnam, Laos, and Cambodia, or Southeast Asia in general, Secretary of State John Foster Dulles forges an agreement establishing a military alliance that becomes the Southeast Asia Treaty Organization (SEATO). 2003 Death: Leni Riefenstahl: German dancer, actor, and film director widely noted for her aesthetics and advances in film technique. Her most famous works are documentary propaganda films for the German Nazi Party. Rejected by the film industry after World War II, she later pursued still photography and continued to make films of marine life. She heard Adolf Hitler speak at a rally in 1932 and was mesmerized by his powers as a public speaker. Upon meeting Riefenstahl, Hitler, himself an artist, saw the chance to hire a visionary who could create the image of a strong, proud Wagnerian Germany radiating beauty, power, strength, and defiance, an image he could sell to the world. Reports vary as to whether she ever had a close relationship with Hitler.